It's about to get really warm here in Georgia. We've had a mild winter, and I can only imagine what the summer's going to be like. Best to think about colder times. Though, when thinking about them, not letting your mind be melted into insanity by Great Old Ones is probably a good idea. 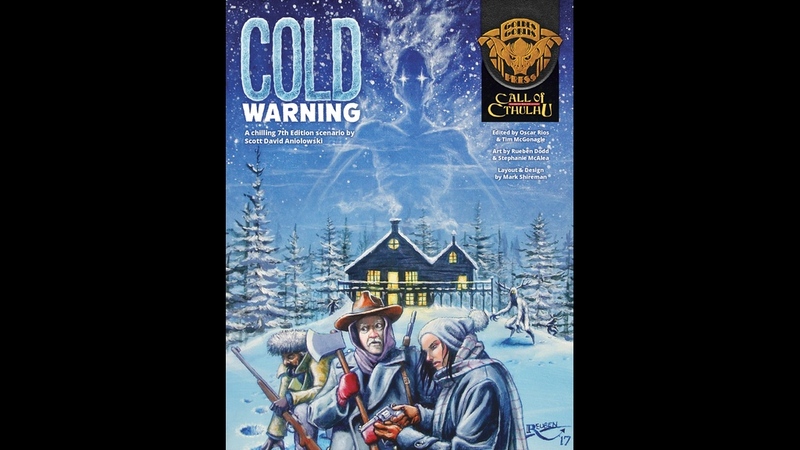 That's what you'll have to try and avoid in Cold Warning, a new adventure for Call of Cthulhu 7th Edition that's up on Kickstarter now.